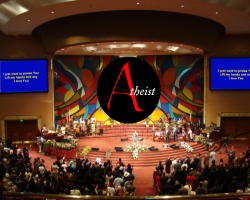 In November, I wrote a post concerning the growing popularity of the Sunday Assembly events for atheists and complaints about the media labeling these events, that happen on Sundays, as a church. To go along with the church motif now a disagreement about the direction of the Assemblies have lead to the press labeling it a schism. It just goes back to my concern about Sunday Assemblies creating confusion and diluting our positive secular message by wrapping it up in warmed over religious packaging. Warm-and-fuzzy atheism gave way to not-quite atheism: or at least a very subdued, milquetoast nonbelief. Sunday services made much mention of “whizziness” and “wonder”—but rarely spoke of God’s nonexistence. The newer, bigger Sunday Assembly now markets itself as a kind of atheist version of Unitarian Universalism: irreligious, but still eager to include everyone. As the Sunday Assembly downplays its atheism, it also appears increasingly churchlike. Aspiring Sunday Assembly founders must form legal entities and attend “training days in the UK,” sign the Sunday Assembly Charter and pass a three- to six-month peer review. Only then may formal accreditation be granted. 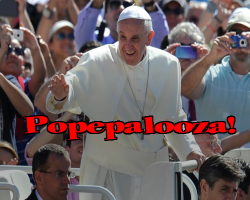 If they seem to be avoiding atheism at these events then what is the point for attending them? If you can’t celebrate life without superstition and make a point of that being the reason then we are denying who we are and is as bad as when theists do it to us – like when Oprah tried to tell Diana Nyad she wasn’t an atheist in an interview. Besides, it contradicts the statement made earlier in Hemant’s post that there are “no pastors, no dogma you must adhere to..”. Telling me I can’t “preach atheism” sounds like a pastor telling me what approved dogma is allowed. I have a problem with people who have a problem with the label atheist. You need to get over it. Hiding the word atheism won’t make theists like us, so why try? And yes a small subset of a subset of subset of atheists are interested in Sunday Assemblies. I think it’s for people who are below liberal theists on the “religious” scale who want the “church” without the god. But the media is always looking for conversion stories – where an atheist converts to or back to being a theist. They also love to publish stories of atheists acting like theists because it validates their belief that theism is the best way to live life. 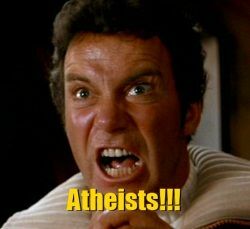 Atheists give them what they want by acting like theists by having “church” and using other warmed over religious trappings like meeting each Sunday. That is the best reason to not meet just on Sunday. Why reinvent the UU Church? We need to celebrate atheism as well as to criticize religion. There is nothing wrong with that. This entry was posted in Humanism, Life, Religion and tagged atheism, church, community, philosophy, schism, Sunday Assembly on January 7, 2014 by Doug.